Earlier this year White Nose was discovered for the first time in the Pacific North-west. This is disheartening news. 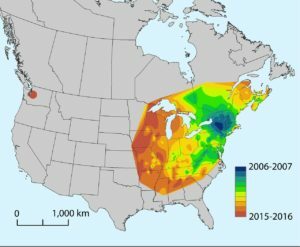 Generalized spatiotemporal spread of Pseudogymnoascus destructans across North America since the initial detection of white-nose syndrome (WNS) in New York in 2006. Map from http://msphere.asm.org. The question begs: what can we do more to prevent this spread? Obviously we can stop visiting caves. But are there steps we can take before we reach that conclusion? What do you think? 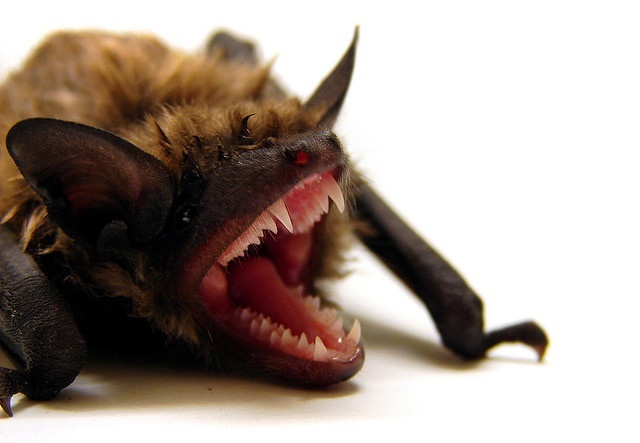 On 11 March 2016, a moribund little brown bat (Myotis lucifugus) was found in King County, WA (United States), and submitted to a local wildlife rehabilitation center. The animal presented with dried and contracted areas of crusted skin on the wings and died 2 days later. Swab samples of the wings were positive for P. destructans by real-time PCR (8), and the bat was confirmed to have WNS in accordance with defined histopathologic criteria (9). An isolate of P. destructanswas obtained by culturing a portion of wing skin on Sabouraud dextrose agar containing chloramphenicol and gentamicin at 13°C. In eastern North America, P. destructans appears to be spreading clonally, with all isolates exhibiting no genetic diversity at the markers examined (10). However, isolates of the fungus from Europe display significant genetic variation (11). To determine whether the isolate of P. destructans from Washington matched the clonal lineage from eastern North America, we conducted whole-genome sequencing using the Ion Torrent Personal Genome Machine (PGM) on the Washington isolate (NWHC#27099-001), as well as on three additional isolates of P. destructans from eastern North America. These isolates originated from M. lucifugus bats collected in Albany County, NY, in 2008 (NWHC#20631-008) and in Iowa County, WI, in 2016 (NWHC#26994-002) and a tri-colored bat (Perimyotis subflavus) in Jackson County, AL, in 2015 (NWHC#44797-145). Please read the full report at msphere.org, the online journal for the American Society of microbiology. In time for Halloween the Department of the Interior released a fun article on 13 lucky facts about bats. Like, did you know without bats, you could say goodbye to bananas, avocados and mangoes. Or did you know that not all bats hibernate? See what else there is to know at the Dept. of Interior site. When first recorded, Kuhl’s pipistrelle was typically found over large areas of North Africa, southern Europe and Western Asia. In southern Europe its distribution was originally confined to the Mediterranean basin. It extended east to the Balkans, west to the Iberian Peninsula and north to the Alps and western France. 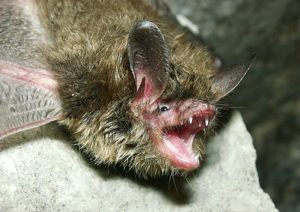 By the 1980s, the bat was also reported in northern France and Bulgaria. Slowly but surely it has spread to other countries, including the United Kingdom to the north and eastern regions such as the Czech Republic, Slovakia, Ukraine, Hungary, Romania, Bulgaria, Serbia and Poland. 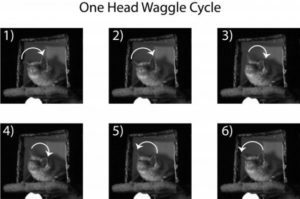 Research into how bats’ brains filter noise show that they are super good at sifting through a sea of sound, and focusing on their own chirp echoes. Read the full report at John Hopkins University. 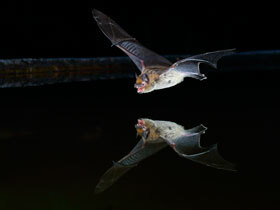 A team of researchers led by Professor Bharathram Ganapathisubramani at the University of Southampton, in England, have been experimenting with adjustable bat-inspired membrane wings that also vibrate as air passes over them. They’ve mounted these wings onto a micro air vehicle that uses them (along with ground effect) to zip across water fast and efficiently. These membrane wings aren’t just flexible, they’re also controllable. They incorporate electroactive polymers that respond to voltage by changing the wing’s stiffness, allowing you to dynamically adjust the wing shape and “dramatically” altering their performance. Read the full article at Creative Planet Network. Be warned, I am using Safari and had a lot of trouble getting the article to scroll correctly. Bats use sonar to navigate. Just like humans they have unique ‘voices.’ But just like humans, they can only distinguish a certain amount of sounds at once. Think about it, you recognize your voice and the voice of family members and close friends. But have you ever tried to pick out someone’s voice in a crowded auditorium full of excited people talking? How do bats recognize their own echoing voice clicks when they are surrounded by hundreds of fellow clicking bats? A new Tel Aviv University study published in Proceedings of the Royal Society B: Biological Sciencesidentifies the mechanism that allows individual bats to stand out from the crowd. The research, by Dr. Yossi Yovel of TAU’s Department of Zoology, finds that individual bats manage to avoid noise overlap by increasing the volume, duration and repetition rate of their signals. According to Dr. Yovel, unlocking the mystery of bat echo recognition may offer a valuable insight into military and civilian radar systems, which are vulnerable to electronic interference. Reports of bat deaths worldwide due to human causes largely unique to the 21st century are markedly rising, according to a new USGS-led analysis published in Mammal Review. Cause of death graphed by year. Read the full release at USGS.com. Read the complete study at Mammal Review. Many of the 1,300 species of bat are considered to be threatened and declining. A new analysis reveals trends and causes of death in bats around the world, shedding new light on the possible factors underlying population declines. In the analysis, 1180 mortality events, each involving more than 10 bats, were represented in a detailed canvassing of the literature dating from 1790 to 2015, and could be divided into 9 categories.